Riyadh has not yet completed its mission of restoring peace and concord in Yemen. Would it be logical then for it to proceed with such a project in Libya? Yes, because it can, and because certain forces will ensure the situation deteriorates with time. The situation in Libya is bad, and can get worse if it is long-neglected. However, it can be repaired with determination, goodwill and true brotherhood. All of those are available in Riyadh, which has no interest in Libya’s territory or oil, only its safety. Saudi involvement is also necessary due to U.N. failure, the incapacity of Libya’s neighbors, and a real desire among Libyans for Riyadh’s involvement. Among them are Libyan Foreign Minister Mohamed Al Ghirani, Justice Minister Mustafa al-Qlayb, Hsayn al-Jazuri of the Islamic Movement, and others I met by coincidence at a hotel in Ankara. They relied on me to deliver this message to the Saudi leadership, and this is what I am doing. All of them are part of Tripoli’s “National Salvation government” headed by Omar al-Hasi. They admit that they are not subject to a unanimous consensus, and remain unrecognized by both Arabs and the world. Ghirani will not attend Arab League meetings, nor will Qlayb participate in any meetings of Arab justice ministers. However, they represent a government in divided Libya covering an area larger than that of the Tobruk government, which is described as legitimate and is under the wing of General Khalifa Haftar, who wants to be the ‘savior’ of Libya. Countries concerned with the Libyan crisis, such as Tunisia and Algeria, provide them the same treatment as the Tobruk government, as well as the United Nations and its special representative Bernardino Leon. They were preparing for a meeting with the Turkish government, which supports them along with Qatar’s government. The Tobruk government, backed up by the United Arab Emirates and Egypt, is trying to end the conflict by force. The rest of the region wants a peaceful solution, wisely and fully aware that no one can resolve the conflict by force. The only outcome of force in Libya would be its destruction and conversion to another Somalia. This explains the detachment of Algeria and Tunisia from the Egyptian position. It was even paradoxical to see Tunisia’s president meeting with Ali al-Salabi of the Muslim Brotherhood and “Libya Dawn,” sparking disapproval from Tobruk given that the president belongs to the secular anti-Islamist camp. Algeria and Morocco hold the same position, and will welcome Saudi mediation. The term “Libyan Taif” – based on the Saudi-brokered agreement that ended Lebanon’s civil war – is starting to echo in their newspapers. He then harshly criticized Haftar, who wants to be the one and only Libyan leader. Ghirani recounted how Haftar waged war even before the election of the controversial current parliament. The Libyan case is very complicated with each party having its own view. It is not a conflict between Islamists and secularists or West and East, but over the greed of each city based on perspective, race and tribal affiliation, along with a destabilized fusion of political parties and leaderships. In fact, neither Tripoli nor Tobruk are stable governments. Divisions have emerged on both sides. Some parties were fed up with the tyranny and inflexibility of some government components, and felt like the personal ambitions of some led to the obstruction of dialogue, as well as corruption. For example, the deputy president of the National Alliance Bloc, who was considered a main component of the Tobruk government, resigned because he refused to continue “Operation Dignity” led by Haftar, which led to the destruction of half of Benghazi. Whoever wants to resolve the Libyan situation must understand it and bear long hours of shouting, debate and exchange of blame. Prior to that, a neutralization of the outside forces that have fueled the conflict (Egypt and the UAE on one side, Turkey and Qatar on the other) must be undertaken. 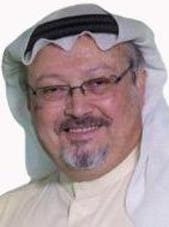 I am almost certain that the latter two are prepared to leave the arena to Saudi Arabia if it undertakes to put all its efforts into the matter, either alone or alongside the United Nations. I also expect Egypt and the UAE to do the same if they see Saudi decisiveness as in Yemen. 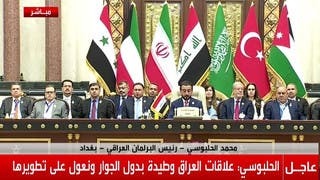 The most important thing is that wise Saudi diplomacy and patience enter the battlefield, complimenting some and pressuring others, so everyone is present except the Islamic State of Iraq and Syria, and anyone lacking the spirit of partnership. I assume that Haftar is one of them and will refuse to participate, just like former Lebanese warlord Michel Aoun did in 1989 and insisted on pursuing his fight against the Syrians, his allies today. It is not going to be easy. Libyans will disagree. Negotiations will be fierce, but without weapons. At the end, they will reach an agreement. This article was first published in al-Hayat on May 23, 2015.